Tim Johnson became part of the DYNALABS team in 2014 as a consultant. He officially joined DYNALABS in January 2018. Tim has over 23 years of experience managing IT companies. He brings to DYNALABS experience that includes a strategic focus in aligning IT initiatives with overall corporate business objectives. Tim exceeds measures of effectiveness through strategic planning, monitoring, and reporting of key metrics. As CTO, Tim will continue to manage the IT functions of the company as well as the IT team at DYNALABS. He will oversee the day-to-day functions as well as contributing to long-range planning with senior leadership to ensure effective strategic planning and growth in application development. Prior to working at DYNALABS, Tim has been Manager, Professional Services at TecSrv since 2014. He was accountable for leadership, coordination, and management of multiple IT projects. His experience has involved hands-on participation in solution design and solution implementation, as well as providing support and oversight of project performance. He was project manager with responsibilities, including oversight and management of the IT project portfolio, including investment analysis, implementation, application development, and modernization, as well as solution design and proof of concept planning for infrastructure migration to cloud-based storage. 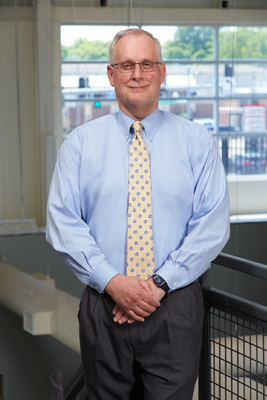 Tim also has held roles as Director of Managed Services and President at several different companies. Tim holds a bachelor’s degree in business from Western Illinois University in Macomb, Ill.